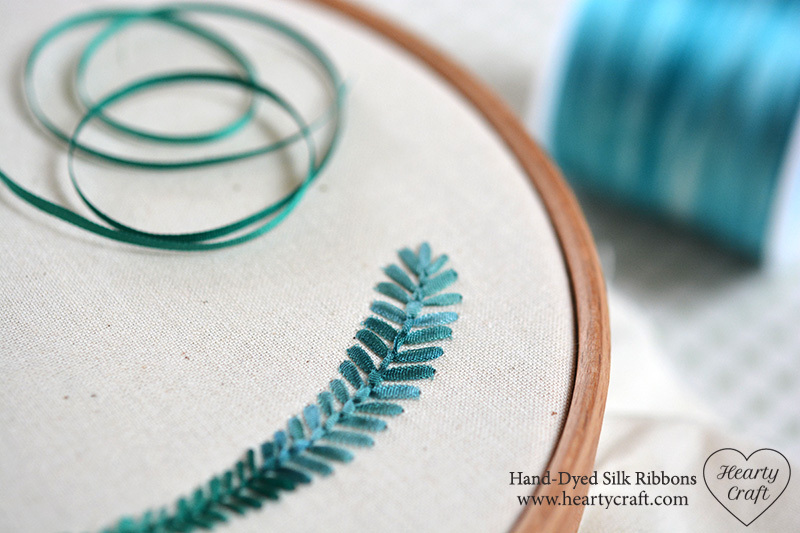 Fly stitch is absolutely fabulous for embroidering leaves and feathers. It is quick, easy and very effective. 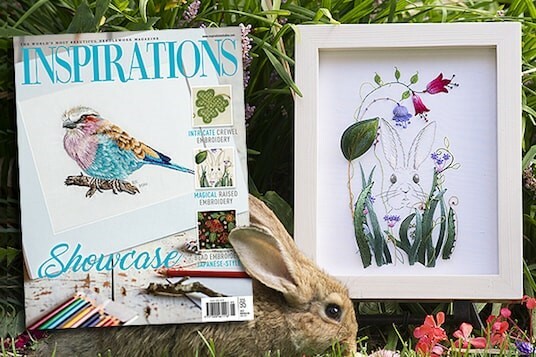 You can stitch leaves of different shapes, and you can use just one colour or change your ribbon half way onto another colour to get more colour variation. Here is an example I stitched with 2mm-wide silk ribbon. I used Spruce ribbon for the tip of the leaf, and Teal Green as I moved from the middle of the leaf to its base. This entry was posted in Blog Posts and tagged How to, Silk ribbon embroidery, Stitches, Tutorial on 17th August 2017 by Zinaida.